Murmuration was completed in the summer of 2015. It is scored for full orchestra. 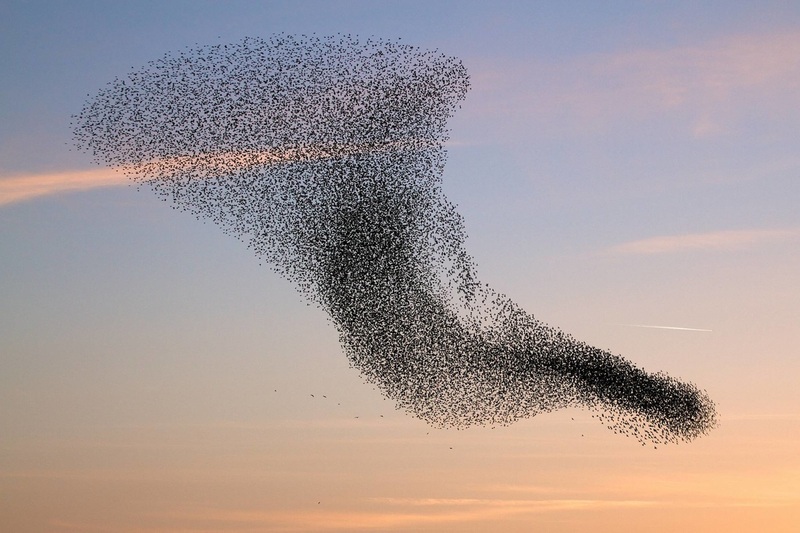 The term murmuration refers to a large flock of starlings, often numbering in the thousands of individual birds. These flocks travel through the air forming massive ever-changing shapes. Like large clouds of black fluttering overhead, they emerge and disappear from the sky in a beautiful display of aerobatics. This recording is from a reading session done by the Peabody Symphony Orchestra conducted by Michael Repper.